We bring the finest of our services to satisfy your storage needs in a very cost-effective manner. With a deep experience and knowledge in this field, our services come with the highest standards and benefits for our customers. We understand when you need to relocate large items from one place to another. Illawarra Self Storage provides you with the most affordable and expedient option to transport your cargo safely and securely to the right destination without any hindrance. Also, if you need assistance to move your heavy items to storage units, we offer the option of truck hire service for your benefit. We understand that you want to know more about the services and details of this company and that is why we stay prepared to help you in every problem. 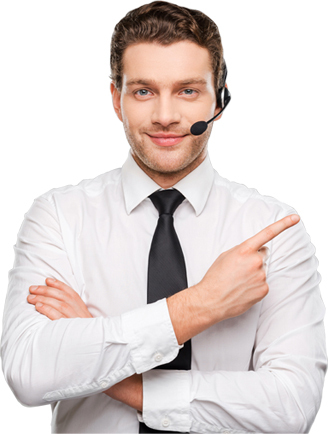 Our customer service is always ready to answer all your question and queries about our business. We have been in this field for a very long time and the knowledge we have acquired so far helps us in delivering the best storage units with security second to none other in the contemporary market. Are you worried about the storage of your bulk or valuable small items? We have been in this business for a long time and with a large Illawarra self-store merchandise store we can accommodate all your storage requisites without any difficulty. With exceptional security and safety, Illawarra Self Storage promises exceptional security of your cargo and can only be accessed by the pin security known only to the clients. We follow a Standard Illawarra Self Storage Agreement to protect the store as well as the storage centre owner. This is an important document and you are requested to read it thoroughly for your advantage. In case, if you have any questions then feel free to ask the staffs at our Illawarra Self Storage centre. It is important that you know that the State and Federal laws determine things that can and cannot be stored. Here, under your Illawarra Self Storage Agreement, you cannot store hazardous, dangerous, illegal, stolen, perishable, environmentally harmful goods or explosive goods. The goods that you will have in your Illawarra self-storage units should be yours and stays under your sole responsibility. That being said, your goods must be covered by insurance because it will not be insured by the Illawarra self-storage centre. Hence, make sure to check with the insurance provider if your goods in storage are covered or not. In case, your goods are not covered by insurance then remember to take help of the Illawarra Self Storage consultant who will be able to help you out in this need. 1. Pack books flat to protect their spines. 2. Use labelled archive boxes or packing cartons to save space, simplify retrieval and protect contents. 3. Use packing to fill empty pockets in cartons. 4. Avoid packing fragile items with books, don't overload. Pack lighter cartons on top of heavier ones to prevent damage. 5. By erecting free-standing shelving you can save on space and make the storage and retrieval of your goods very effective. 1. All fabric items need to be clean and free of anything that could attract pests. 2. Most Illawarra Self Storage centres have cartons, packing materials and other accessories available to protect your goods. 1. Metal items need to be clean and dry. 2. Protect rust-prone items by wiping over with a rag impregnated with a few drops of machine oil. 3. Choose the amount of space you need. 4. Maintain total control over the key, and who has access to your space. 5. Choose the length of time you store. 6. Only pay for the space you need. Relocating from one location to another with truck hire service.